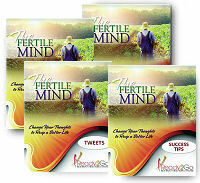 Special Report: The Fertile Mind - Change Your Thoughts to Reap a Better Life from Ready2Go Marketing Solutions, Inc.
To see a sample of this special report, click here. 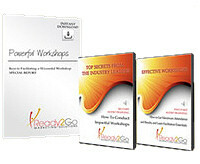 What if there was a way you could harness the power of your own mind to overcome your personal obstacles and create the life of your dreams? If you could learn to control your mind – its thoughts, feelings, and subsequent actions – you could exponentially increase your happiness, confidence, and success while removing all unpleasant thoughts and feelings from your experiences. Sound too good to be true? It’s not. There is a way. It’s known as Mind Management. This special report will help your clients begin the process of managing their thoughts and show them how to incorporate new mind-sets, exercises, and attitudes into their daily life. 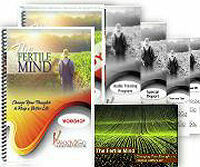 Once they know the principles of Mind Management it’s simply a matter of practice, practice, practice. By understanding the basics of how the mind works, your clients can create a framework to understand what’s going on up there and be better equipped to make better use of their vital mental energy. By taking an objective assessment of their thoughts, feelings, and behaviors they will begin the process of mastering their mind and impacting their life in amazing ways. How to leverage the science of neuroplasticity to improve their brain ‘fitness’ with positive thought conditioning.